Kowhai is committed to teaching children how to learn. We don’t see children as empty buckets to be filled up with information. We believe children need to learn how to build up their own understandings. Our teachers are not transmitters of information, they are co-constructors – like scaffolders who have to keep one step ahead of the builders as they add the next storey to their understanding. Our strong Inquiry Learning Model reflects this. It is about making sense of facts, not just collecting them. Learning to learn is about being equipped to face the future and shape it. Kowhai students are learning to learn. The research is conclusive: Large scale surveys of studies into what makes kids learn best, show that the teacher has the biggest impact. The Kowhai team possess academic rigor and are highly trained in current best teaching practices. They understand young adolescents and love working with this age group. 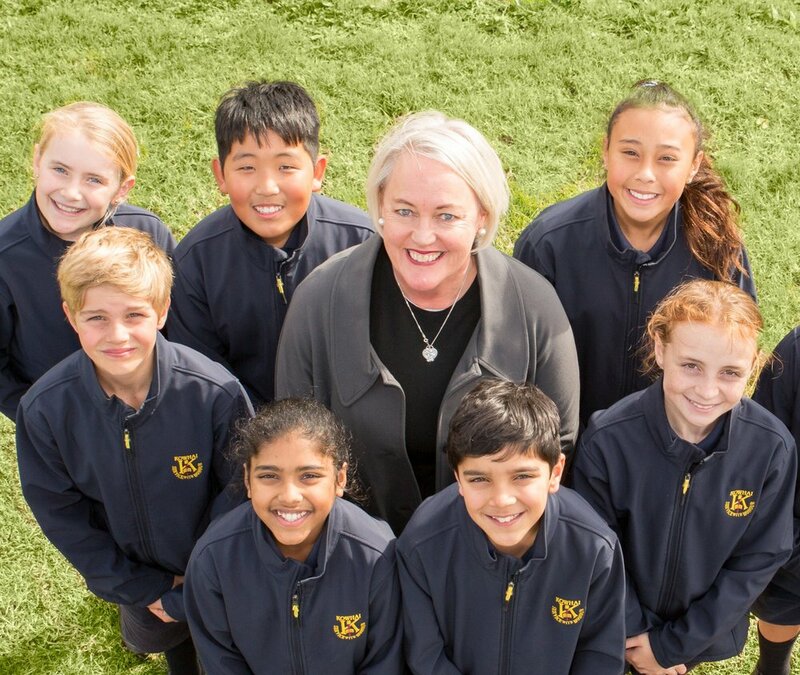 Their passion for middle years schooling inspires and challenges our students. They know how to identify and solve obstacles to children’s learning and how to capitalise on children’s strengths and interests to urge them towards excellence. They create caring and inclusive classes where students learn safely and happily. They know how to plan real life learning experiences that match the concepts being learned. They are skilled at providing the feedback and questioning that will lift students up to their next level of achievement. Quality teachers are not just good at their subjects, they are strong role models, too – they are quality people. Literacy is the ability to speak, read and write effectively so you can make progress in life and interact successfully with the world. There are other literacies that 21st century citizens need, as well. Reading, writing and speaking are certainly at the top of the literacy list and we have proven and consistent literacy programmes in every class across the entire school. Children arrive at Kowhai with varying abilities in reading and writing and we expect to move all of them to higher levels. The second key literacy is numeracy - understanding and communicating in the language of number. Our staff have just completed three years of intensive mathematics professional development and are well-equipped to seamlessly move students on towards high school. Digital literacy – information and communication skills/tools are a new ‘world’ of skills and possibilities that our children must master so they can connect with and navigate the ocean of ideas available via the internet. Second language literacy – learning others’ languages allows our children to understand other cultures more fully and to move between them confidently. We have strong professional leaders in each literacy. We pay careful attention to literacies because we aim to produce richly articulate young people. These adolescent years are high energy! Our children are getting used to being more independent and are keen to try out new things. Kowhai deliberately caters for this liveliness and inquisitiveness. Each year there is a rich variety of co-curricular activities available. Camps are an excellent setting for children to safely explore life outside the nest. There is a bi-annual class camp and specialist camps such as sports camp and snow camp. On Adventure Days, students try out new challenges such as mountain-biking and golf. This is the age for attempting new sports and proving yourself in the ones at which you already excel! Children can learn a musical instrument, form a band or participate in other cultural and performance groups. Fun and challenge are vital ingredients to the middle school years at Kowhai. Our school is set up to identify and meet the needs of individual learners; to personalize their education. At Kowhai, your child will have his/her own teacher who gets to know him/her really well. We believe that at this age children still need a good deal of nurturing and understanding to get the best from their schooling. A classroom teacher (rather than a subject-specialised teacher) is able to help students to work through dilemmas, solve problems and meet challenges by bringing together learning from a range of disciplines. This is consistent with the intent of the new NZ Curriculum. We get involved with parents at the very start of the school year to learn from you about your child and set some significant learning goals for each year. Streaming occurs within the classroom to ensure that every student is working at the appropriate level. Students with special strengths or needs have supplementary programmes to ensure that their learning is truly personalised and not merely a generic ‘course’. Information on how the curriculum is expressed to meet the local needs of Kowhai Intermediate School.